Anyone have a clutch cover laying around? This makes me sick to say. 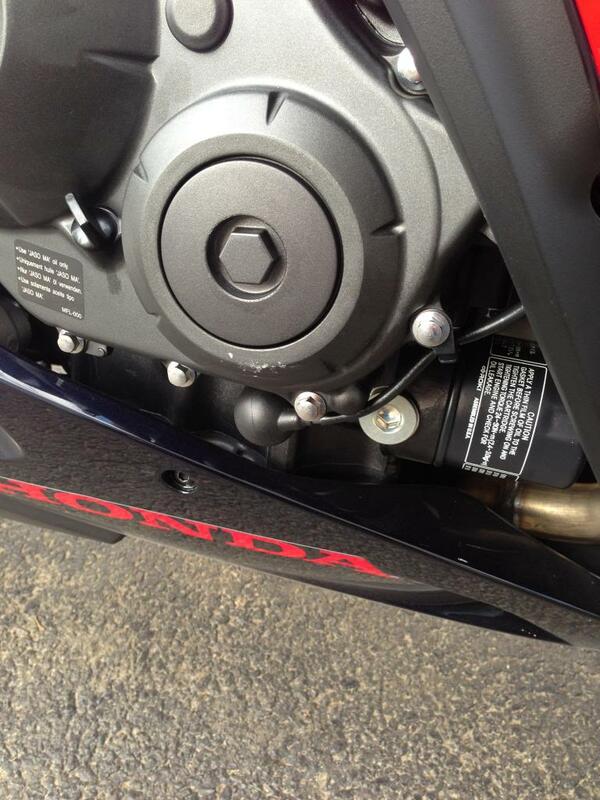 Was riding my new bike, 2013 CBR1000rr, on 95 today and I encountered a tractor trailer retread in the roadway. There was nothing I could do to avoid it had to go over it. Ran it over and immediately pulled off to the side of the highway, I did not see any damage. I got home and started to clean it and really inspected the bike and noticed the clutch cover had a few scuff/scratch marks on it. Does anyone have a spare laying around? Thanks in advance. Moved to the 1000rr section. Chit happens, trust me. I lowsided Yolie when she was 3 months old, cracking the frame. Thanks that was the first thing I did was buy the case saver. I should receive it in a week but knowing them scratches are under there will drive me nuts. Side question, removing the three bolts to install the case saver will oil leak from there? looks like nothing else was damaged. good. also, it shouldn't leak oil when you install the savers. Why will my clutch cover not go on!!!!! Quick Reply: Anyone have a clutch cover laying around?